In the final league game of the Momentum One Day Cup 2019, the Dolphins seek to solidify their spot in the table at the expense of table-dwellers, Lions who still have more than a mathematical chance of making it to the semi-finals. The recent surge in form has seen the Dolphins confirm their place in the playoffs while the Lions will hope for a similar resurgence after a close win over the pace-setters, Titans on Thursday. 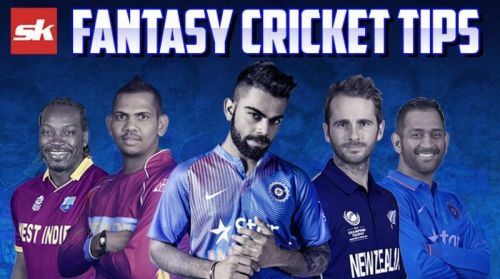 With the match being played at the Senwes Park, a mouth-watering clash is on the cards, much to the delight of the fantasy players. No changes are expected from the Lions with an all-round show in their previous win against the Titans. They were boosted by the return of Willem Mulder in their playing XI, whose performance being critical to the Lions' cause. The bowling unit looks fairly settled with Bjorn Fortuin and Nandre Burger in decent form. Possible XI: Rapulana, Dominic Hendricks, Lubbe, Bavuma(C), Mulder, Bergh(WK), Potgieter, Fortuin, Siboto, Burger and Phangiso. With a home semi-final at stake, the Dolphins would be tempted to field their strongest side against a desperate Lions team. The batting unit looks in good form apart from veteran, Dane Vilas, who is due for a big score on Saturday. Robbie Frylinck's availability is still in doubt while the likes of Keshav Maharaj and Okuhle Cele need to step up once again to sustain their momentum. The last match played here saw a 300+ target being chased down with relative ease, courtesy of a Temba Bavuma hundred. Conditions are set to remain the same with loads of runs on offer for both sets of batsmen on a hot Saturday afternoon. Wicket-keeper: Inspite of his poor run with the bat, Dane Vilas is too good a player to hold down for long. He should be backed to get some form behind him as the Dolphins ready themselves for the semi-finals. Batsmen: Two out of the Dolphins trio of Khaya Zondo, Sarel Erwee and Vaughn van Jaarsveld is a must while the inclusion of in-form opener, Dominic Hendricks is a no-brainer. He top-scored against the Titans whilst narrowly missing out on a hundred and would be itching to make up for it with another good performance. All-rounders: Willem Mulder and Senuran Muthusamy are must have players in the side while Ethan Bosch is also a good selection for the team. Bowlers: Bjorn Fortuin and Nandre Burger's exploits against the Titans warranties a place in the side while Malusi Siboto could be drafted in for either of them as well. Keshav Maharaj is also due for a big performance and should be ideally backed for this crucial contest. Captain: Dane Vilas is one of the most experienced players in the competition and is far from done with a big innings on its way. He is the ideal choice for captaincy alongside the likes of Willem Mulder and Temba Bavuma.